Amount of attractions in capital of Poland is such great, that you need few days to see the most important places. 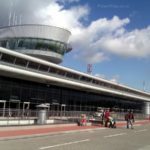 What to do, if you can spend in Warsaw only one weekend? 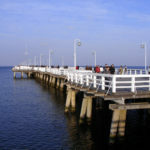 We will try to guide you through the sights and attractions that you simply can’t miss. 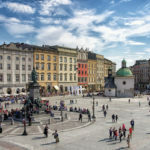 Better be ready, because you won’t have much time for laying in the hotel, but you can be sure, your weekend in Warsaw will be truly exciting. Good afternoon! 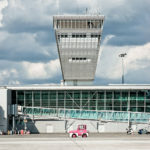 We don’t have time to loose so we’re starting your Warsaw sightseeing immediately after your landing at Frederic Chopin Airport and transfer to the hotel. 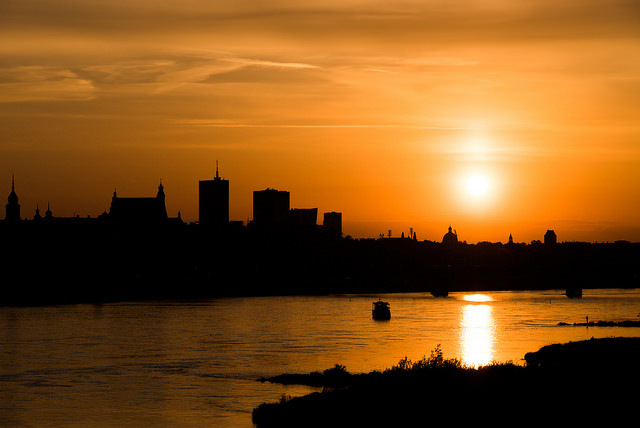 We have a part of afternoon and whole evening to give you a little sample of Warsaw beauty. Seems that we’ll be on time for a last hour of Royal Castle’s sightseeing, so let’s start from there. Castle is full of amazing interiors and baroque decors. It’s simply unbelievable that it was completely reconstructed! After the visit in Royal Castle it’s worth to stop for a while in front of it to admire Sigmund’s Column. When dusk is falling it looks really marvellous! Also whole Old Town is simply wonderful in the evening. We can use this time to see Main Square with colourful tenement houses and make a walk along the medieval fortifications with barbican. Now we have a little bit time to relax. If I can recommend you something, you should use something from great offer of the Old Town’s cafes, pubs or restaurants. If you want to eat something we can visit „Secret” restaurant, very elegance, but also a little bit expensive. Maybe you’re thirsty? Shall we go to „Bier Halle”? I promise, that this place will make you to create a new definition of beer! After all we will take a cab back to hotel. Better go to sleep then, because I’ll wake you up quite early! Good night! Good morning! Are you ready for the next day of meeting Polish history, culture, tradition and for admiring another breath-taking places? I hope you slept well, because today will be a long day. After breakfast we’re going to Royal Baths Park! Royal Baths Park is a MUST! Park was founded in 18th century by order of king Stanislaw August Poniatowski. It’s no wonder that it was his favorite place, you’ll understand it for a while. We enter the park by the gates at Ujazdowskie Alleys. The first important building which we can see here is Belvedere. 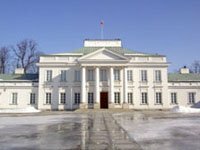 In the past it was a seat of Polish presidents. Nowadays it has a representative function, president’s chancellery is here. Near the main entrance there is also a statue of Frederic Chopin. 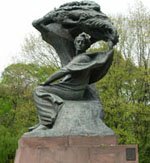 I hope you know our famous composer, If you don’t maybe later we will find some time to visit our new Frederic Chopin’s Museum, it’s not far from here. Now, let’s focus on Royal Baths. Most important monument of park is Lazienkowski Palace. After the sightseeing of it, you can go for lunch to Belvedere Restaurant – one of the most prestige restaurants in Warsaw. Time spent between amazing 18th century monuments is always magnificent, but now I want to recommend you something more modern. 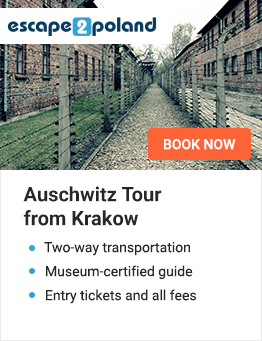 You can choose between two places – Warsaw Uprising Museum or Frederic Chopin’s Museum. Is worth to visit both, but I’m afraid that we haven’t enough time. You can always come back to Warsaw for some time, here’s still a lot of things to see, but now You have to choose. 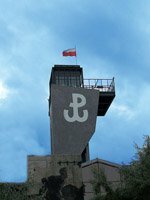 If you choose Warsaw Uprising Museum, you have to be ready for very touching experience. This place commemorates one of the most glorious moments of Polish history. Here, you can see all aspects of insurgents life. In the main hall there is the replica of plane Liberator 24-J. It makes really breath taking impression. Most touching place in the museum is a room with insurgents letters. Almost everyone gets out from there with tears in eyes. Another great idea of museum’s founders is a possibility to collect calendar cards with description of every day of uprising. I’ve collected all when I was here first time, you also can try to do it. The second choice is Frederic Chopin Museum. It’s the newest museum in Warsaw, it’s full of high technology so it looks really futuristic. If you are Chopin’s music lover, or if you haven’t possibility to meet our great composer and you want do to it now, there is no better place to start! Everyone of several rooms in museum shows other part of Chopin’s life. We can meet the story about his childhood, when his unlikely talent appeared, found out about his travels, important women in his life and in the end inquire about his illness and death. In every room his music is accompanying us. There are also Plexiglas tubes, where we can contemplate his genius on our own. The dusk is falling now, so it’s very nice time to admire Warsaw’s view from the top of Science and Culture Palace. It’s worth to pay attention on this object for a while. This is a one of a kind relict of socialism. Some people say that is the ugliest building in Warsaw, but I don’t think so. What is your opinion? Whatever you think about palace, you must admit that view from its top is unique. It looks marvellous in the evening when the city lights are turned on. Those lights tempting to meet an offer of Warsaw’s nightlife, so now we’re going back to hotel to prepare for Saturday’s Night Fever! Amount of places where you can spent good evening is such great, that I have real problem to recommend you anything concrete. Just trust your intuition, because wherever you’ll go, you’ll find great party. Tomorrow won’t be as tiring as today, so you don’t have to worry about your energy. Enjoy your time! Hello! How was your yesterday evening? Today I have two prepositions for you. 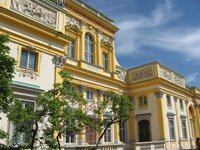 If you don’t feel tired of sightseeing monuments, we can visit Wilanow Palace. If you have enough of historical objects you can make some shopping before you’ll fly back home. Wilanow Palace is a place where king Jan III Sobieski was spending summers. This building was erected in 17th century and it’s one of the most important sights of Warsaw. Nowadays in the palace there’re an exhibitions of portraits and art. For attention deserve also beautiful gardens which are surrounding palace. You should spend some time for sightseeing palace and gardens because it’s really admiring. As I said before, except of sightseeing you can for example do some shopping today. 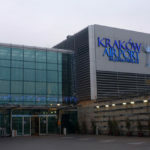 The best place to do it are one of the numerous Warsaw trade centres. I recommend you „Zlote Tarasy” („Golden Terraces”), because except of hundreds of shops with the greatest brands from all over the world it’s also worth to see an amazing, modern architecture of this objects. From the outside it looks really interesting. I hope you already made all your businesses, because it’s time to go to an airport. I wish you, peaceful journey and I hope, that you’ll come back to Warsaw, I still have many places to show you. It was really nice to meet you. See you next time in Warsaw!